Kate Middleton, Prince William, and Prince George will have three days to spend in New York City on glorified pre-Christmas shopping trip. Their royal NYC itinerary will include lots of fun stuff! In addition to unveiling their new wildlife charity, there are several things the public will expect the royal family to do. For one, there’s no way they are going to miss Rockefeller Center during Christmas time, and the entire ice skating rink might get shut down so the royals can take a spin on the ice. Prince George obviously loves his zoos, so it’s possible that the royals will visit Central Park Zoo. Let’s hope that while he’s there, the photographers manage to capture him strangling a small goat or some other helpless animal. George’s antics were definitely the best part of the New Zealand and Australia tour, and we want more! There’s the American Museum of Natural History, which is a big deal for anyone visiting New York City, not just first-time tourists. And considering Prince William’s and Kate Middleton’s pedigree, they won’t have to worry about standing in line or waiting for their turn. Then, there’s New York City’s legendary FAO Schwarz, where Angelina Jolie and her brood are usually spotted doing their holiday shopping. Now, while Kate, Will, and George will no doubt make the touristy rounds around the city, there’s also a very high probability of them stopping by some talk shows. The royals don’t usually indulge the media in the UK, but the atmosphere in New York City will be different. Plus, if Pippa Middleton takes that NBC media correspondent gig, then Kate will probably be obligated to stop by the Today show for a quick chat regardless. 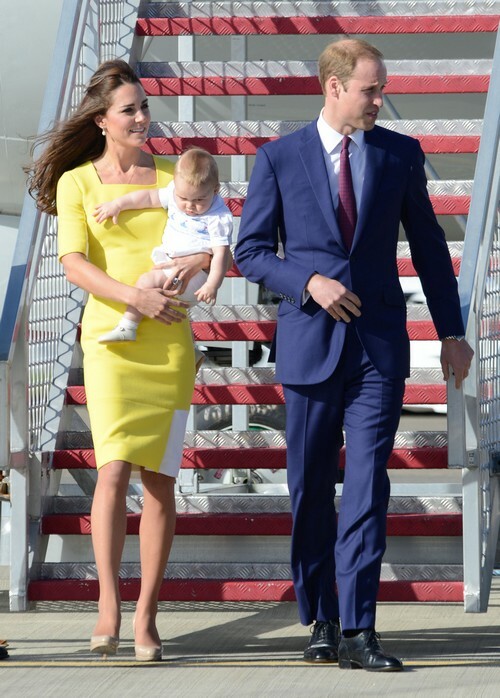 Kate Middleton: Baby Prince George’s Stalker Forces Prince William’s Legal Action – Queen Elizabeth Livid!